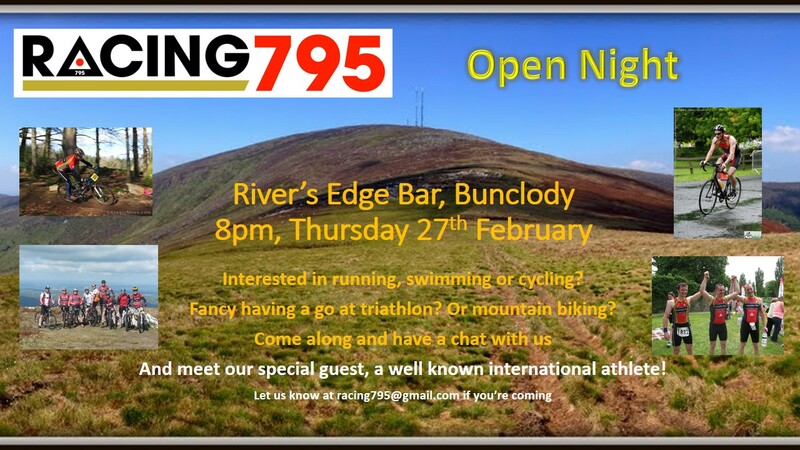 Racing795 is delighted to announce an Open Night on Thursday 27th February at 8pm in River’s Edge, Bunclody. On the night, current members will be available to talk about the clubs activities, including running, cycling (road and mountain biking) and of course triathlon. We hope that anyone that is interested in joining our club will come along, and we especially welcome beginners. We will also have on display equipment and gear including a triathlon bike, mountain bikes and triathlon and cycling clothing and equipment. Joining us on the night will be a well known international athlete who will give us an insight into the level of training and commitment required to succeed at a professional level.